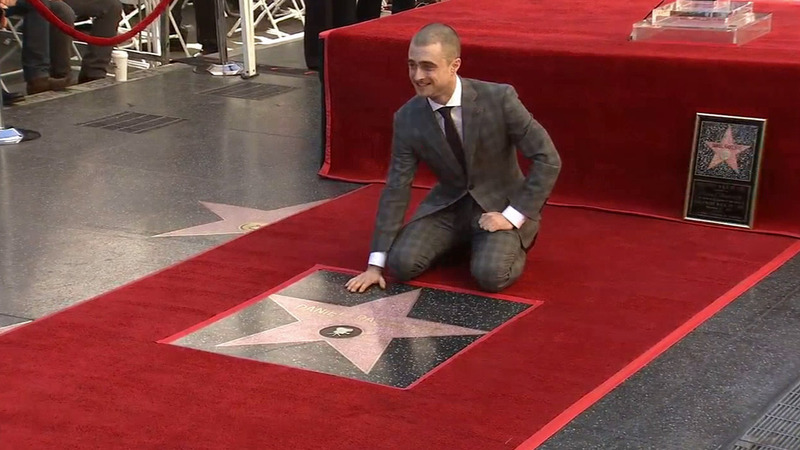 HOLLYWOOD, LOS ANGELES -- Actor Daniel Radcliffe received a star on the Hollywood Walk of Fame Thursday. The 26-year-old rose to international fame playing the young wizard Harry Potter. Chis Columbus, who directed the first two films in the "Harry Potter" franchise, attended the star unveiling. Since completing the "Harry Potter" movies in 2010, Radcliffe has appeared in Broadway plays, in several other movies including "The Woman in Black," in a British four-part miniseries, and in a made-for-television movie. His next film, "Victor Frankenstein," will be released on Nov. 25. Radcliffe plays the assistant to a scientist obsessed with creating life, Victor Frankenstein, who is portrayed by James McAvoy.